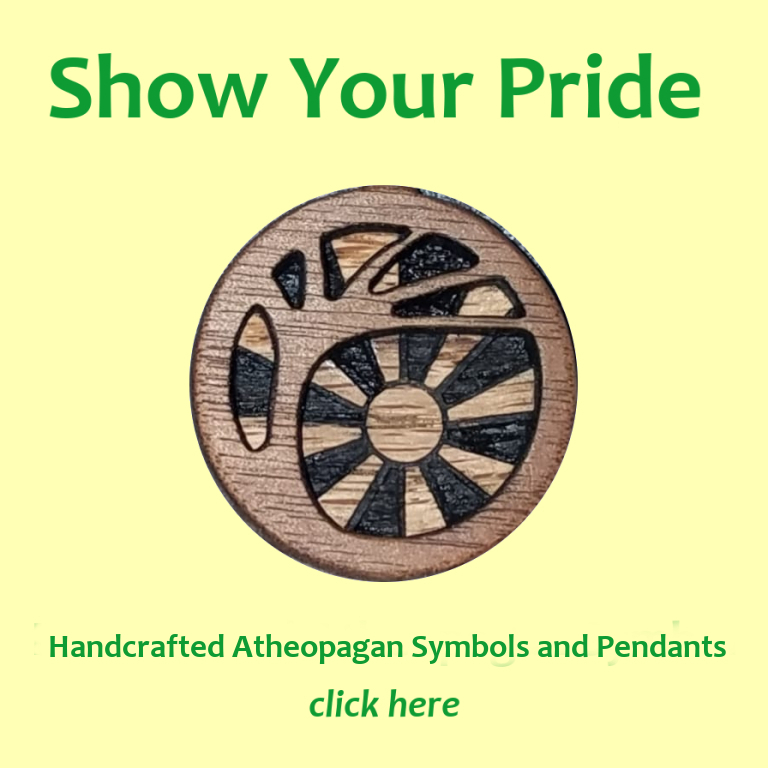 The third annual Moon Meet is a congregation of Atheopagans, non-theist Pagans and others interested in our paths, held from Friday, July 19 through Sunday, July 21, on private land on a redwood-covered mountain near Healdsburg, in the beautiful wine country of Sonoma County, California. Moon Meet—named because we will hold it during the weekend nearest the full moon—is a group camping gathering; a few indoor sleeping locations are available by prior arrangement for those disabled or coming from distance and unable to bring their gear along. We will share meals and workshops, hold a community discussion about how our Atheopagan community is developing and how best to move forward, and design and celebrate rituals together. We will share songs, poems and our creativity around the fire. And there will be time for hiking in a beautiful setting, or excursions to nearby wineries and historic sites. Event pricing is $100– the minimum necessary to defray expenses. This includes five meals. Children under 16 are $35. A small fee will also be charged to pay for the registration service, Brown Paper Tickets. Prices will go up to $120 on June 25, so please register early! This third annual Moon Meet grows out of a frequent request in the Atheopagan Facebook group, that we find ways of physically convening as well as virtually gathering online. Please contact us now! 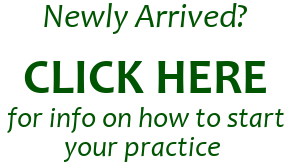 Use the form on the Atheopaganism blog’s “Contact” page. Workshop slots are 90 minutes in length. FACING FORWARD: A talk on nontheist Paganism: 1-2:00 pm Saturday, in the Fire Family Suite (Room 247). How is human religious behavior evolving? Where is it likely to go, and how does nontheist Paganism fit into that trend? 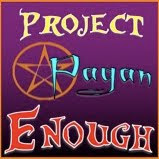 Nontheist Pagan Mixer: immediately following “Facing Forward”, from 2-3:30 in the Fire Family Suite (Room 247). Wine and snacks served. Enjoy fellowship and conversation with like-minded Pagans! An Introduction to Atheopaganism: Now at 12-1 pm SUNDAY, in the CAW Suite (Room 251). 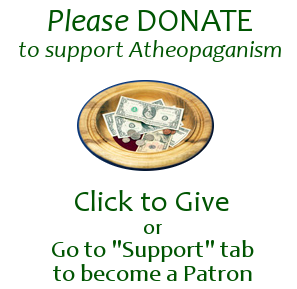 What is the Pagan path of Atheopaganism, and how did it evolve? What are its ritual practices, ethical principles and cosmology, and why are these well-suited to people of today? Come here this introductory talk and ask all your questions! I’m grateful to the Church of All Worlds and the Fire Family (Spark Collective) for hosting these events. If you’re going to Pantheacon, be sure to join us! Atheopagans and friends are welcomed to join us for a potluck early winter gathering and nontheist Yule ritual on Sunday, Dec. 9, at the Berkeley Fellowship of Unitarian Universalists, Connie Barbour room (1606 Bonita Ave, at the corner of Cedar St. in Berkeley—map link here). The gathering will convene at 2 pm, with the ritual at 3:30. Please bring a dish and something to drink to share. We would appreciate it if you bring non-disposable eating ware, as well, so we have very little waste from the event. Please no red wine, thanks—the venue is concerned about stains. This event is our second effort to engage more local Atheopagans and friends in person, following our very successful Harvest event. We hope to see many of you there!